We make it easy to keep in touch with your audience! Promote your business with this great newsletter package using IBDESIGN STUDIO’s proven mailing list tools. Check out how each part of your website should be aligned with fonts. Use the best free fonts available and give your website a special sparkle. Social media integration on your website is the key to your online success. Promote your online brand and grow your social following by adding your social network links. Use a favicon to stand out from the crowd and be remembered by your most recurring visitors. Implement website plugins such as live chat, analytic tools, webmaster tools and others. Look for your preferred plugin and integrate it in no time. Let your visitors download apps directly from your website. Whether it's on App Store or Google Play, click and download in seconds. Embed Google maps to give your visitors a visual representation of your business’ location. Upload an image that will appear on social media when your website is shared. This Image sharing is a great way of branding your business on all platforms. If you ever wanted to limit access to specific visitors only, Password protection is the answer. This addition is an excellent way to keep your site "Private." While you build your website, set website under construction and your visitors will see a "Coming Soon" message when they browse the website domain address. Organize your web pages with dropdown menu tool for better navigation on your website. Group similar pages under one place and give your visitors a great user experience. IBDESIGN STUDIO is a multilingual platform that offers 80 different languages to build your website. Just signup and choose your local language. Attract the attention of internet users and make them stick to your website by presenting a very eye-catching webdesign. A fantastic Form Builder tool allows you to create forms on your website and collect specific data from your users by setting custom fields and various options. Give your users an optimal viewing experience with perfect responsive web design on a desktop, smartphone or tablet. It's time to go cross-platform. With IBDESIGN STUDIO you get full tech support along the way. Contact us via our 24/7 online chat support team, use our support center or email us. We are always here for you! Build a website without having to worry about how many pages you can have. 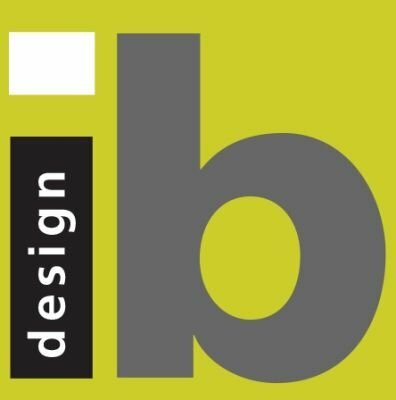 On IBDESIGN STUDIO, there’s space for all your content. Don’t worry if your graphical content is too scarce to fill a website. IBDESIGN STUDIO offers you free stock images and icons to make your website impressive and professional. With IBDESIGN STUDIO Multilingual Website Tool you can create multi-language websites in a just a few clicks. This is a one-of-a-kind solution. Ibdesign is here with its powerful SEO tools, ready to deliver a perfectly SEO-optimized website. Whether you need a one page website or a multi-page website, your site will look modern and trendy with IBDESIGN STUDIO website builder tools. Establish your online identity and address by choosing a unique domain name! Make it easy for users to find your website and establish your website domain as a major presence in search engines online! IBDESIGN STUDIO offers free SSL/HTTPS encryption protection for all websites! Whether you are on a subdomain or a custom domain, your site will be protected by the internet standard of online security. Present a professional impression by managing a Mailbox Under Your Domain Name. Get your free email accounts offered with our different plans.